The senator has denied any wrongdoing in connection with a Medicare billing dispute. (Bloomberg) — U.S. prosecutors plan to seek an indictment of Sen. Robert Menendez as soon as Wednesday on corruption charges tied to gifts and campaign donations from a Florida eye doctor, according to two people familiar with the case. An indictment of the New Jersey Democrat would cap an almost three-year probe into whether gifts from ophthalmologist Salomon Melgen were in exchange for help with federal agencies. Melgen also is expected to face charges in the case before a U.S. grand jury in Newark, New Jersey, according to another person familiar with the matter. The senator has denied any wrongdoing and vowed not to leave office during the Justice Department inquiry. Peter Carr, a spokesman for the Justice Department, declined to comment. Stephen Ryan, a lawyer for Menendez, and Anne Lyons, an attorney for Melgen, also declined to comment. The senator and doctor are long-time friends, and Melgen hasn’t cooperated with federal investigators, according to another person familiar with the probe. The people who discussed the matter asked for anonymity because the case is continuing. Menendez, 61, is the top Democrat on the Senate Foreign Relations Committee. He was its chairman until January when Republicans took control of the Senate. A former U.S. representative, he joined the Senate in 2006 and has twice won re-election. He served as chairman of the Democratic Senatorial Campaign Committee during the 2010 campaign cycle. 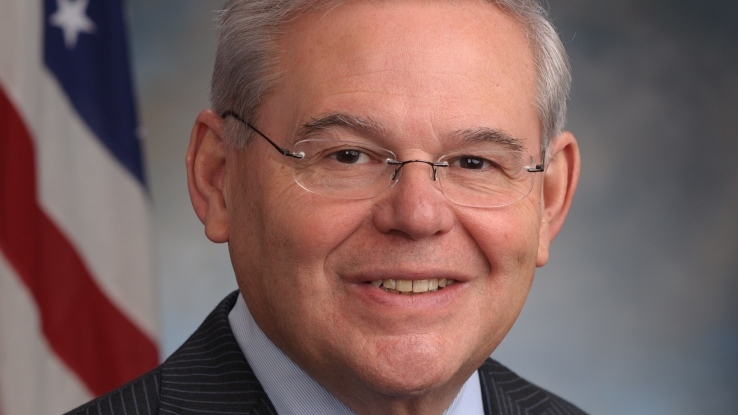 As part of the probe, investigators are examining whether Menendez took inappropriate actions on behalf of the doctor in a billing dispute with the Centers for Medicare and Medicaid Services and for Melgen’s effort to offer port security services to the Dominican Republic. The Justice Department’s Public Integrity Section and the Federal Bureau of Investigation are leading the probe.